Good morning everyone, hope you are well! 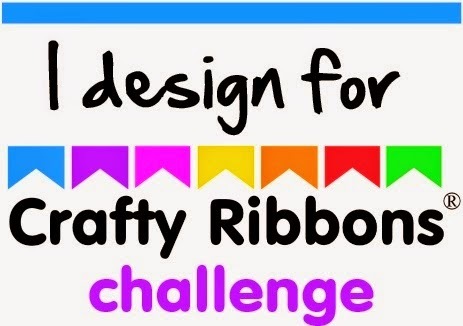 I am here with my DT project for our 'Ribbon and Buttons' challenge at Crafty Ribbons Challenge. I altered a notebook block and pencil set I bought a while ago. I used Prima papers, Crafty Ribbons Vintage Butterflies Ribbon and Spotty Buttons, A wooden butterfly embellishment and a gorgeous Vintage image from the graphics fairy. I covered the inside too, and the pencil to match. I used more ribbon to embellish the end. Good afternoon everyone, hope you are well :-) I am here with a couple of projects to show you :-) First of all I will start with a bracelet I made with some of my favourite beads. I love Goldstone and Blue Goldstone and just came across these wonderful fusion of both in little 6mm beads-a perfect bridge to tie my Gold and Blue Goldstone beads together! :-) I used a magnetic clasp, clear bicones, Goldstone 8mm beads, Fusion beads 6mm, and Faceted Blue Goldstone 8mm beads. Good morning everyone, hope you are well :-) I am here with a midway inspiration project for our 'Are we there yet?' challenge at A little Bit Crafty. I used Papermania All Aboard collection of papers and embellishments, a sentiment stamp and a canvas butterfly I made. I used a photo of a cat sleeping in a historical monument from an old holiday album and stamped an 'Enjoy the moment' sentiment in Stazon ink onto the All Aboard ribbon. I matted the photo on two colours of cardstock, then created my sketch using other papers from the set. I added a sentiment embellishment to the top of the photo. Lastly I added my butterfly which I made by cutting a butterfly out of canvas with a spellbinders die, colouring it with Mister Hueys ink and then stamping with stazon inks using a swirl stamp. Good afternoon everyone, hope you are well :-) I am here with a couple of creations to show you this time, a monochrome Iris card and a Neutral Gemstone Necklace. I shall start with the card, for this creation I used an Iris stamp from Penny Black stamped with Memento Paris Dusk ink onto die cut cardstock. I then made a panel below this image as a mat-with patterned paper and white cardstock. I then covered my card with a white paper with a blue pattern, and used the same patterned paper from my mat as a border on the card. I then added a dome greeting matted onto patterned paper and white card like the image. Lastly I added a ribbon bow. I was asked to make a neutral coloured gemstone necklace for a friend so here is my effort. Obviously the beads being gemstones each bead differs which I love-you get such different looks even within the same creation. I used Labradorite, Rutilated Quartz in two sizes, clear bicones and white pearls. Good evening everyone, hope you are well. I am here with my project for Sarah Hurley's Speech Bubble Challenge and I made a CAS card for a male friend. I used an image from expedition and used papers from Steampunk kit. I mounted my image on complimenting card and then added my wooden speech bubble sentiment and a wooden embellishment to the image. Mrs A You can find our challenge to enter here, we would love to have you join us! Good morning everyone, hope you are well :-) I am here with my creation for Sarah Hurley's 365 blog. It is a simple make for those times when you want to make a special card but are restricted by time. I used Sarah Hurley's butterfly stamps, Memento, a card blank and pink metallic gel pen. I stamped the sentiment first, then stamped each butterfly from the sentiment up. I coloured the butterflies with a Pink metallic gel pen. A Little Bit Crafty: Are we there yet?